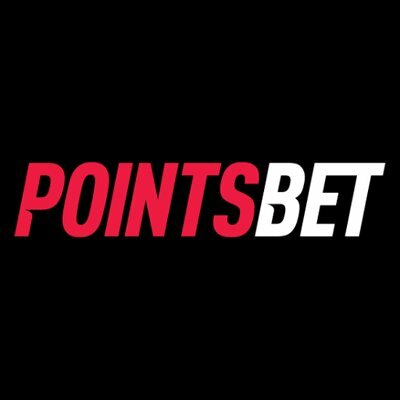 PointsBet is anAustralian bookmaker that is finding its way into the American sports betting market. Its recent deal with Tioga Downs and Meadowlands Racetrack is helping it to make waves with track based sports. However, the Meadowlands Racetrack deal has an added feature – It Will Move Points directly into the lucrative NewJersey online sports betting market. The deal is said to bring “edgy” sports products that will attract new attention to the industry. Although the deal with Tioga Downs has not yet passed the New Jersey state legislature, it is still receiving priority consideration because of the possible money that is available from it. FanDuel Sportsbook will perform the physical booking operations in both of these deals. Recently, Sam Swanell, CEO of PointsBet, said that America is the driving force behind its deals.However, no one can overlook the influence of Australian gaming in the rugby games that will likely be involved in the new PointsBet product. Swanell said that the company will give gamers the ability to bet through its mobile and online platforms more easily. This will bring more of the rugby market into the purview of American gamers. Swanell is also looking for deals with companies that have even more powerful brands in the United States, which will provide an easier path for the signature product of PointsBet, Points Betting, to be used by gamers across the board. If you are looking foredgy betting, this is definitely the place to be. In naturally volatile games like rugby, bettors will likely experience an additional level of high riskhigh reward spreads and offerings. In order to bring more rugby betting into New Jersey, PointsBet had to create a platform that coincided with the movement towards responsible gaming. Now rugbyis never been a sport with a betting pool that is concerned with being responsible, but this is definitely a necessary partnership to make when movingthe industry into the United States. In addition to regular spreads, PointsBetoffers prop bets as well. These smaller bets allow a wider variety of people toparticipate in rugby games without having to deal with the volatility that occurs with traditional bets on the game. There is, however, potential for very large losses on relatively small bets with this new system. Regulators and sports leagues around the sport of rugbyare still looking for ways to navigate this in the United States. It is a much more important thing for people who are betting in America to understand thefull risk of the bet they are taking, otherwise the platform can be held responsible. Safeguards in the PointsBet platform include the ability of a player to reduce bet limits on his own. PointsBet representatives are also on the phone to everynew customer to make sure that that person understands the product. PointsBet is hoping to use the rugby market in the New Jersey betting environment to grow into NewYork and eventually into the rest of the United States. PointsBet may actually be rugby’s best way to grow as a gaming option in the United States, but timewill tell.